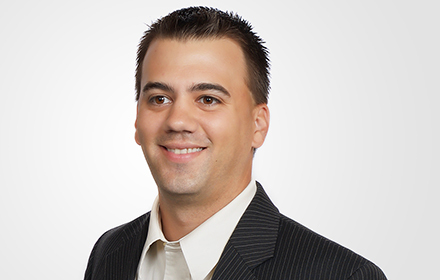 Adam C. Doerr is an Associate in the St. Louis, Missouri, office of Jackson Lewis P.C. He represents management in labor and employment matters before state and federal courts, administrative agencies and arbitrators. Mr. Doerr’s practice involves representing clients in all phases of litigation, including jury and bench trials, dispositive motions, discovery, pre-trial strategy, and client counseling and best practices. Mr. Doerr’s experience includes investigating allegations of employee and managerial misconduct and representing clients in cases involving wrongful termination, discrimination, harassment, and retaliation under various civil rights laws, including Title VII, the Americans with Disabilities Act, the Age Discrimination in Employment Act, the Missouri Human Rights Act and Illinois Human Rights Act, among others, as well as wage-and-hour collective actions under the Fair Labor Standards Act. He has also represented clients in appeals, including cases before the Missouri Court of Appeals, Illinois Appellate Court, and Illinois Supreme Court. Mr. Doerr also trains and counsels clients with respect to labor-management relations matters and best practices, and has successfully represented clients in labor arbitrations, grievance resolutions, unfair labor practice charges, contract negotiations and union organizing campaigns for both private and public sector clients. He has represented clients before labor arbitrators, the National Labor Relations Board, and the Occupational Safety and Health Administration. While attending law school, Mr. Doerr received the Robert G. Dowd Appellate Advocacy Award, and went on to place second in the nation in the Andrew’s Kurth National Moot Court Invitational. He also earned the Academic Excellence Award for receiving the top grade in International Law, and spent two semesters representing underprivileged individuals at the law school’s legal clinic. Dismissal of two separate complaints brought against logistics company alleging unlawful retaliation in violation of the Occupational Safety and Health Act. Adam Doerr Authors "Trump Administration Already Creating More Business-Friendly Legal Environment"